The NSAW150's two-way acoustic suspension design system incorporates a 6.5 woofer and 1/2 tweeter in a weather resistant enclosure. The 6.5 high compliance poly propilane mica filled woofer delivers solid reproduction of the lower and middle frequencies. 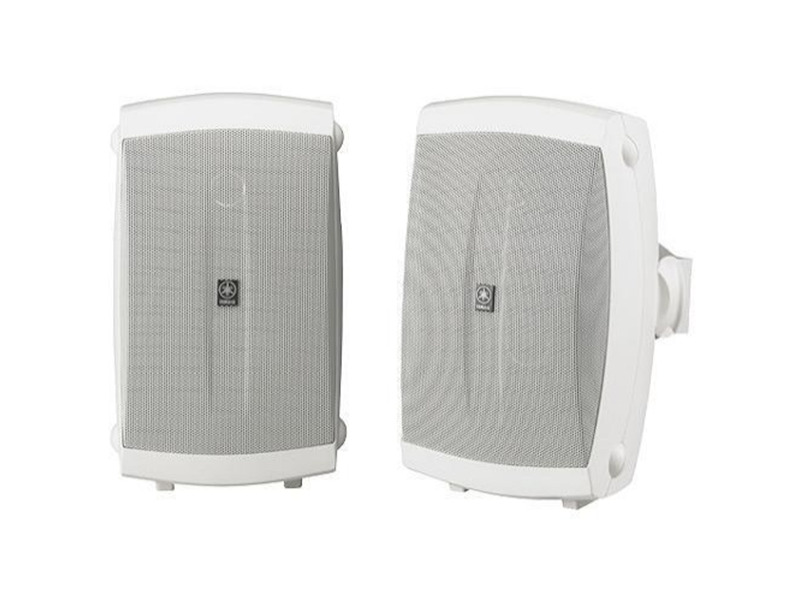 The upper end of the frequency range is handled by Yamaha's 1/2 PEI dome tweeter. The NSAW150's sealed enclosure with aluminum grill protects the speakers from the elements. Bought these online w/o listening to them. When I got them I plugged them into a receiver & was very disappointed as they sounded thin. Well, I'll mount them under the eves of my garage in the back garden anyway. Once they were up & i plugged them in they sounded quite good! They need to be against a wall or in a corner to produce the low end. So don't be surprised. I've been using these for about 3 years now & am very happy. weather has not been a problem except for discoloration.